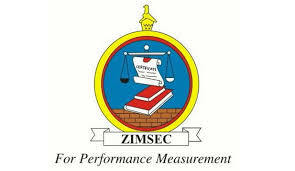 The November 2018 Zimbabwe School Examinations Council (Zimsec) Ordinary Level results were released yesterday with a pass rate of 32,83%, an increase from the previous year’s 28,7%. Addressing journalists in Harare yesterday, Zimsec chairperson Eddie Mwenje said candidates could start collecting the results from their respective centres today or view them on the online portal introduced this year. Mwenje said last year’s total number of candidates was lower than the previous year’s due to the fact that it was the last year on the old curriculum. “The total number of candidates who sat for the November 2018 Ordinary Level examination was 239 441. This is 29,98% less than the number of candidates who entered for the 2017 November examination session, which was 332 473,” he said. Males performed slightly better than females, with an overall pass rate of 32,35%, as compared to 30,04% for girls. The 2018 November Ordinary Level examination was the first on the new curriculum introduced by the Primary and Secondary Education ministry.